APTN Investigates marks its 10th season with a special half hour edition of highlights from the first nine seasons. 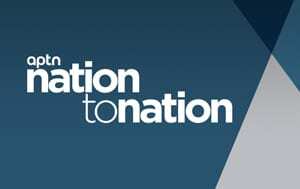 Every Sunday, APTN Investigates: A Retrospective will feature one of the show’s many award winning investigative episodes. Hosted by the program’s creator, Executive Producer Paul Barnsley, it’s a chance to see again the stories that made the program’s reputation. 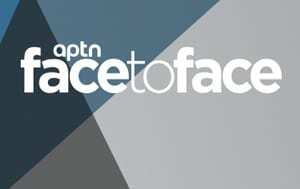 Each week APTN Investigates: A Retrospective will feature additional one-on-one interviews with the people who created the show, who made their contributions and moved on, and those who continue the work today. APTN Executive News Director, Karyn Pugliese, asks the questions. Watch the Retrospective follow-up interviews on YouTube by clicking the links below or listen and subscribe to the APTN Investigates’ audio podcast. Hair. It has great significance for Indigenous people, especially for men. So why did a school employee feel it was their right to cut the hair of a young pow wow dancer? Cheryl Mackenzie reports from Thunder Bay in 2009. Retrospective: The story that saved lives. Award-winning Cheryl McKenzie, known as the face of APTN for more than a decade speaks about the her career, a breakthrough story that saved dozens of lives, and the of launch Investigative journalism by Indigenous peoples – a first in the world. An American businessman was giving away free laptop computers on the Blood Reserve in southern Alberta. The band council was working with him. However, there was one big catch. In 2014, Paul Barnsley followed the paper trail and stopped a big con. Retrospective: Through the Looking Glass. For a long time Paul Barnsley was the only investigative journalist on the Native beat, and today he remains one of the most respected journalists among Indigenous people in Canada. In Through the Looking Glass he talks about his career and offers wisdom from his own experience to non-Aboriginal reporters breaking in on the beat. For more than a decade, the Metis have been trying to solve the mystery of what happened to the Bell of Batoche. Some say it’s lost forever. Others say they may know who has it. Todd Lamirande broke this story in 2009. Retrospective: “I didn’t think that could happen in Canada.” Todd Lamirande had been at APTN for only a year when he transferred to BC to open the Vancouver bureau – located in his one bedroom apartment. Shortly thereafter, the police illegally seized his car and his tapes. It was a precarious start, but so began an 18-year career at APTN, and Lamirande – who never wanted to work in television –began his ascent, becoming one of the best known on air personalities at APTN. Lamirande also tells how he unravelled the mystery behind the missing Bell of Batoche. Or did he? He was a former senior advisor to Prime Minister Stephen Harper. He knew the ins and outs of the federal government machine. In addition, he knew where he could get his hands on more than $300 million that was intended to provide clean drinking water for First Nation communities. When Kenneth Jackson and Jorge Barrera discovered how Bruce Carson planned to get that cash and what he intended to do with it, APTN Investigates had 2011’s news story of the year. Retrospective: A shoebox full of documents sealed with duct tape. Kenneth Jackson, a former Ottawa Sun crime reporter trying his hand as a freelancer, got the box. In it were documents with politicians’ names, someone who had a personal connection to the prime minister and a mass of information about First Nations water. Jackson put the box in the trunk of his car and drove to the Ottawa home of his best friend, a reporter named Jorge Barrera who had been working at APTN as a web reporter. That launched one of the most widely reported investigations into a Canadian political scandal. Spoiler alert: Kenneth got a job at APTN. Several Manitoba First Nations were flooded out by the provincial governments in 2011. They were moved to hotels in Winnipeg. They were put under the care of the Manitoba Association of Native Firefighters or MANFF. That organization was shut down amidst allegations of money mismanagement and corruptions. Seven years later, some evacuees are still not back home. Melissa Ridgen looked into things in Season 5. Retrospective: Single Moms, Lies and Videotape. It became clear early on at APTN that the majority of reporters it was hiring were single moms. Melissa Ridgen talks about balancing motherhood and journalism. As well this episode dives into Ridgen’s investigation into the scandal surrounding the Manitoba Association Of Native Firefighters’ (MANFF’s) apparent disregard for its duty to care for flood victims, not to mention taxpayer dollars. We talk about why it’s important to investigate these stories, despite the fear that it may perpetuate a stereotype. What would you do if your drinking water was being contaminated? Would you fight it? Three women from the Blood Tribe found themselves in handcuffs for wanting answers from an oil company. Francine Compton has the full story from Season Four. Retrospective: Child labour in the newsroom. Francine Compton’s father made her transcribe interviews as a child, then encouraged her to study broadcast, telling her one day Indigenous people would have their own TV network. She was still a teenager when she was put in charge of APTN’s studio crew. She’s since worked as a reporter, producer and is now part of APTN’s management team. We talk about this plus her Investigates story on fracking, before fracking was a thing. Retrospective: Prospering in media the hard way. It’s been a unique journey for APTN Vancouver Video Journalist Tina House. She learned how to be in the right place at the right time from her Metis leader father. She picked up the skills she needed to survive and prosper in media the hard way, waiting tables along the way. Then during the very first season of APTN Investigates, Tina House was awarded the Amnesty International Human Rights Journalism Award for a story about a missing and then murdered relative. Karyn Pugliese and Tina House discuss Missing Women and so much more on APTN Investigates: A Retrospective. Residential schools are one of the darkest chapters in Canadian history – especially for those who lived through it. Can money buy back years of emotional damage? Kathleen Martens looks at the Independent Assessment Process (IAP) in 2012. Retrospective: From local print to TV – Covering it all in the world in journalism. Kathleen Martens has done it all, from covering agricultural stories for a small-town paper in rural Manitoba to taking on the complexities of the federal bureaucracy, not to mention just about the entire legal profession. First in local print and then in long form TV investigations for a national audience and now on the APTN National News web site, there’s not much Kathleen Martens hasn’t done in the world of journalism. And by bringing a handful of national awards to APTN Investigates, the evidence is clearly there that she’s done it very well. Karyn Pugliese and Kathleen Martens discuss the Independent Assessment Process and so much more on APTN Investigates: A Retrospective. A Saskatchewan man, Matthew (Matty) Brandon has lived with serious disabilities all his life and at the time, had just aged out of foster care. Kathleen Martens travelled to the only home he had ever known with the Gardiner family that was fighting to keep caring for him against a seemingly indifferent system determined to keep him out of social services. Retrospective: Vulnerable people, what’s the harm of a little journalism? Veteran reporter Kathleen Marten’s takes us behind the scenes. Matty is non-verbal, suffers from serious disabilities and just aged out of foster care. His foster family wants to keep caring for him, but the state is cutting them off. It’s the kind of noble story reporters want to tell. However, you can’t just bulldoze your way in. Marten’s talks about trying to strike the balance between getting the images and story a television journalist needs, and while trying not to exploit or harm the vulnerable youth at the centre of the story. An investigation into a private Winnipeg company hired to do waste collection for the prairie city. It was a deal to save up to 4.5 million per year for taxpayers but how did they do it? Ridgen found the company routinely hired temporary day labourers, many whom were Indigenous men, some with criminal records. Retrospective: Nothing good ever came from staring out the window. 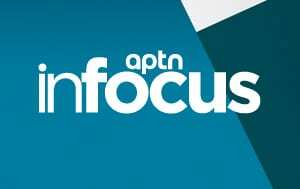 Melissa Ridgen has moved from APTN Investigates to host the APTN talk show InFocus. She’s brought her direct style of inquiry and her predilection for getting to the bottom of things in a Frank way. Not everybody likes that. We’ll talk to her about how she handles haters. Also, how staring out a window led Ridgen to investigate a good news story, but then it all went wrong. Indian hospitals and tuberculosis sanatoriums operated for decades in Canada, providing sub-par health care to Indigenous peoples in Canada. Survivors and their families recount stories of starvation, isolation, loss of culture and even medical experimentation. Retrospective: Busking Journalism with Holly Moore. Holly Moore was a fine arts student, a dancer and a street performer. Naturally, the next step in her career was to join CBC’s elite investigative unit. Not so obvious? We talk about how she got from A to B to APTN Today, she is the producer of APTN Investigates, and recently won the Amnesty International Award for Human Right reporting for her work on “The Cure was worse” delving into stories of starvation, isolation, loss of culture and even medical experimentation at Canada’s tuberculosis sanatoriums. FEB 3, 2019: TRUTH? OR RECONCILIATION? As the Indian Residential Schools Settlement Agreement wound down in 2016, it was clear to reporter Kathleen Martens that not all survivors felt reconciled or heard. She went across the country for this one-hour special and spoke to survivors about how the settlement affected their lives. Retrospective: They messed up the Indian Residential Schools Settlement Agreement and fleeced survivors. Kathleen Martens knows this. She’s proved time and again that government did not fairly compensate survivors and some lawyers fleeced them. She’s broken stories, held those in power accountable, some lawyers were disbarred as a result of her exposés. Her documentary “Truth? Or Reconciliation” was another deep dive winning the 2017 Canadian Association of Journalists award in the Open Broadcast Feature category with one judge calling it a “perfect” documentary. A court ruling for the Huu-ay-aht people in British Columbia may be a gamer changer for future specific land claims. Josh Grummett went to the incredibly beautiful First Nation to examine why a tribunal judge swept away Ottawa’s cookie cutter approach. Retrospective: “Hey! I can do more!” According to APTN Investigates journalist Josh Grummet, the most important thing anyone can do in life is listen. So that’s why his Twitter handle is @joshlistens! Another intriguing mystery solved during this conversation with Executive News Director Karyn Pugliese. He’s the right-hand man to producers on Investigates. A journalist, shooter, editor and creative tour de force with a hand in every episode including his own, Priceless. Statues across the world are coming down to stop the memorialization of controversial historical figures. In her first-ever episode of APTN Investigates, Trina Roache dug into the centre of the debate surrounding Edward Cornwallis, the founder of Halifax, NS. One of the policies enacted under his leadership was a bounty collected on Mi’kmaq scalps. Retrospective: “My fingers just know where to go” Trina Roache has worked at APTN – off and on – since 2001. After returning from an “extended” four-year mat leave in 2013, she saw that the equipment had changed and evolved. But the Mi’kmaq video journalist wanted that big old Sony camera she was accustomed to using earlier in her career. “I still have that camera,” she told Karyn Pugliese during her interview for APTN Investigates – a Retrospective, talking about her History Decolonized documentary. “My fingers just know where to go.” Reflecting on her “long journey” with the company, the talented story teller said “APTN has come so far,” since she started. It sounded like a great idea, a Indigenous-owned investment group that would generate money for poverty-stricken Manitoba First Nations. So where did all the money go? In season six of our show, Melissa Ridgen digs into the organization’s dynamic leader and tries to find answers to what happened to those millions. Retrospective: Exposing corruption and misspending in Indian country Melissa Ridgen has exposed corruption and misspending in Indian country. We dive into what she has discovered about accountability, and some of the key stories Investigates has broken over the last 10 years…. Plus we talk about bunnies. It was one of the biggest gatherings of Indigenous people in the history of North America and it became a flashpoint for the stand off between big oil and those who oppose it. The Keystone XL pipeline may be flowing oil but APTN National News was there every step of the way and captured some of the most compelling footage of the clashes at Standing Rock. Reporter Dennis Ward followed up this episode with an update in After Standing Rock, one year later. Retrospective: Bullet-Proof Journalism Dennis Ward saw it coming. The pipeline, the build-up of tension at Standing Rock in North Dakota, which became an eight-month long stand-off. He convinced the APTN news room to go south-side for what has turned out to be one of the most important stories in US-Indigenous relations this century. We talk about his pre-APTN career, to his coverage of Standing Rock, including news gathering while being pepper sprayed, and dodging rubber bullets. Reporter Trina Roache was invited into a secret Facebook group for RCMP members and she was shocked by the racism posted there. As she dug deeper, it became clear that for Indigenous people in Canada, the relationship with police has always been fraught. From Ipperwash to Colten Boushie, she examines how justice for all doesn’t always apply across the Turtle Island. Retrospective: Shining lights in dark places Last February, APTN News broke the story of racist social media comments by an RCMP officer who posted that Colten Boushie, the 22-year-old Cree man shot and killed by Gerald Stanley, “got what he deserved.” Trina Roache got the tip from another police officer who was disgusted to see dozens of racist comments about Indigenous people on a Facebook group for RCMP. Trina takes us behind the scenes of that story, and talks about why exposing these stories are important.